Chiropractic helps Leonardo DiCaprio after filming 'The Wolf of Wall Street'. 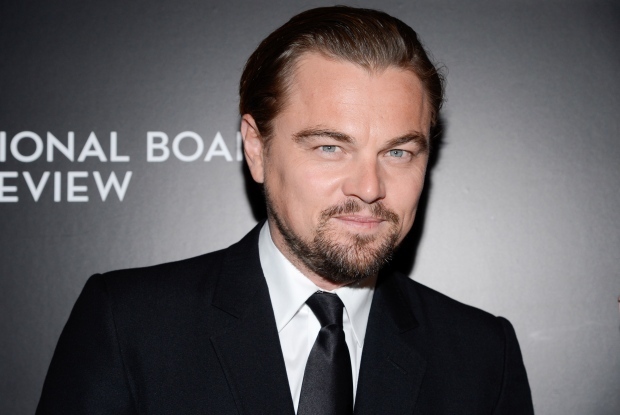 Leonardo DiCaprio needed "a lot of chiropractic work" after filming 'The Wolf of Wall Street'. The 39-year-old actor portrays notorious stockbroker Jordan Belfort in the movie, and he was advised by the banker on how to act in a scene where he had to crawl to a car while on drugs - and he found mimicking Jordan Belfort moves incredibly painful. "I videotaped Jordan Belfort on the floor, rolling around, and he really articulated to me that you have every intention of going to a certain destination, but your body doesn't go along with you. We shot it for, like, a week, and it was a lot of chiropractic work for me because it was incredibly painful." Dr. Jim Kurtz is the envy of every rabid Seattle Seahawks fan. 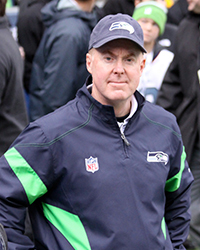 Dr. Kurtz will literally have the best seats in the house Sunday afternoon when the Seahawks take on the Denver Broncos at Super Bowl XLVIII at MetLife Stadium in New Jersey. Kurtz has been working as the Seattle team's chiropractor for the last three seasons and will be standing on the sidelines Super Bowl Sunday. Dr. Kurtz has had plenty of experience working with some of the best athletes in the world. During his distinguished career, he has been a member of the sports medicine staff of the PGA Tour, and was the first chiropractor ever selected by the United States Olympic Committee to an international Paralympic event. He was Team USA’s Chiropractor at the 2008 Paralympic Games in Beijing and worked three seasons with the Seattle Sounders FC. As the team’s Chiropractor, Dr. Kurtz "adjusts" players depending on their needs. Dr. Kurtz said he is in awe every day about the amount of punishment the players' bodies take during the course of a practice, game and season. Use your mind to curb a craving. Sniff! A 2012 study found that smelling jasmine (a non-food odor) reduced chocolate cravings, so this suggests that smelling something that doesn't remind you of, or is similar to food, may help you reduce cravings, at least for chocolate. Just Chew It! Researchers found that when the subjects chewed gum during the three hours following lunch, they ate 10 percent less of a snack than when they didn't chew gum. Walk this way. A new study in Appetite suggests that a short bout of exercise (eg a 15-minute walk) can reduce chocolate cravings. Research helps to explain why Chiropractic is so effective for low-back pain. Using MRI scans, researchers were able to document the immediate effects of a Chiropractic adjustment. Patients with low-back pain have restricted mobility in the lumbar spine that results in degenerative changes and fibrous adhesions within the joints of the vertebrae. Researchers hypothesized that Chiropractic adjustments increase gapping between the joints of the vertebrae, which breaks up adhesions and allows the joints to move freely. In this study, 112 patients with low-back pain were randomly assigned to receive either chiropractic adjustments, side-posture positioning, or two control treatments. Immediately after the treatment, they received an MRI scan that allowed researchers to analyze spinal gapping. The Chiropractic patients had the most substantial spinal gapping, and patients treated with a combination of Chiropractic adjustments and side-posture positioning had the greatest reduction in pain. This study shows that Chiropractic can restore spinal joint range of motion and thus decrease pain and increase flexibility. A journey of a thousand miles begins with 1 step, and walking is a great way to protect your heart. According to results published in The Lancet, scientists are reporting that walking an additional 2,000 steps per day, equivalent to 20 minutes of moderate-paced walking, can help to lower the chances of developing heart problems. All of the volunteers were assigned to a program to lose weight and exercise 150 minutes a week. They were given pedometers that they wore at the beginning of the study, and again 1 year later. Those who walked an additional 2,000 steps a day on average over the year, above the initial requirement of 150 minutes of exercise per week, had a 10% lower risk of heart problems by the end of the year.